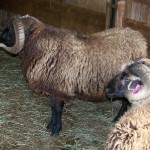 Beautiful 4 Horn ram ready to have his own flock! Grey varigated fleece, not sure if he is badger or just grey. Proven ram with lambs available for viewing. Registerable but not submitted at this time. 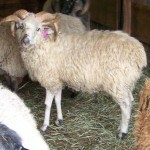 Purple 19 is a white 4 horn yearling looking for a new home. 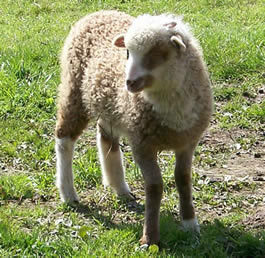 He has nice luster and correct fleece. He has his mothers facial markings. He is quite the handsome fellow. 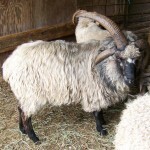 Beautiful 2 Horn ram ready to have his own flock! Dark Rio fleece, very likely to be Extention dominant. To see his full face, click on the ram's name or photo. Registerable but not submitted at this time.